It's digital and one step better than taping receipts to a piece of paper and submitting them the old fashioned way. Almost everything. The UI is not intuitive or easy. Emailing receipts looses the receipt. It's not easy to move an expense across reports unless you finish filling out and saving the expense first. Uploading receipts that are multiple pages makes multiple receipt images that are unassociated. I have to add and delete each image one by one. The concept of linking and not linking is confusing. In the modern day business, it's common for professionals to have to submit multiple expense reports each month, each segmented by billable/not billable, internal vs each unique client. If I only had to submit a single expense report and all expenses went to the same report each month, this program would work. It breaks down when managing multiple reports with different receipts all at the same time. Steer clear - this product has a long ways to go and is very time consuming and clunky! Managing expenses to billable project codes. I really like this software The function of drag and drop for receipts, the generated tickets automatically linked to my credit card, the option to use the mobile application and the ability to group several receipts in one entry. The bad thing about this software is that there is no way to make multiple editions in entries with identical profiles. A template or a way to edit any item that would be selected would be an extremely useful feature. Our company has started using Nexonia Expenses and our experience has been great. During Implementation, be very clear on your business needs and how you would like your Nexonia account set up. "Easy to expense on the go"
I love the mobile app. I can easily take a photo and save it as a receipt or create an expense on the spot. Doing it in the moment means I won't lose a receipt or forget about an expense. I also like that it integrates with Lyft so I can easily expense business rides without saving receipts. I do not like that it doesn't always sync between the mobile app and browser. The app usually seems up to date, but sometimes I log onto the browser version and my latest expense are not included. I also have not figured out a way to EASILY add the Lyft rides to a report as it creates a new report for each Lyft I take. Making business travel easy and helping me get reimbursed more quickly. I can expense as I go instead of waiting until after a trip to do all the expenses. "Great product but the company is definitely changing their approach!" Deep intergration with NetSuite for the expenses. Highly customizable. Wish the old CEO, Neil, was there. His attitude was if you need something customize we will do it for you and not charge you if you let us use your idea. I had never seen a vendor treat their customers that way. That has changed since the company was sold. Far less likely to do custom request, even if they needed to charge you for it. Mobile app works great and is very user friendly. This is my third implementation with them. AP module is really lacking. Does not have the flexibility that the expense reporting or timesheet modules do. Less of a can do culture. Great for expenses and timesheets, skip if you are looking for an AP module. May improve once they do updates next year and implement OCR. Also works really well with NetSuite, provdied your system is not highly customized, like ours was. Streamline expense submittal and approval process. Gain efficiency and better visibility due to system limits of NetSuite. My company has a relatively unique purchase approval and reimbursement system. Nexonia worked with my company to adapt their system to our needs. We have used Nexonia for almost two years now and the transition from a largely paper-based expense system to a digital one has gone extremely well. There are no significant downsides that I have experienced. One feature I wish was present was the option to create recurring expenses. When creating a new expense report I have to fill out a number of drop-down boxes that stay the same from report to report (such as budget name, approver, etc.). There seems to be no "official" way of getting around this monotonous work, though I do so by having a "mock report" in my dashboard and duplicating it whenever I have a new expense. My company was using a paper-based expense system prior to adopting Nexonia. We had employees driving paperwork to and from our different locations. It was also difficult to get expenses approved quickly because budget supervisors were stationed at different locations. Nexonia has helped drastically speed up our expense reporting and approvals. "Easy and quick to use! " My favourite feature of Nexonia is the Smartphone app! I can do my expenses on the go, view past expenses, save receipts, and submit reports in minutes. Sometimes the report function can be a bit confusing, since you cannot submit a single item on its own without associating it with an overarching "report". This is a great tool, and I would highly recommend it to businesses who have many employees submitting expenses. It's extremely easy to navigate from the user perspective, it has a modern/attractive interface, and helps keep everything organized so that there are no missing pieces to the expense process. Before we used Nexonia, I was constantly forgetting to submit my expenses and therefore missing deadlines. When I went on business trips, I had handfuls of expense receipts that I had to keep track of. With Nexonia things are lot more organized now, and I can submit expenses as I go, so nothing is missing. "Love the mobile app! " Nexonia has successfully created a platform that follows the existing habits of the phone user. The dashboard is bright and intuitive. The setup can change as fast as your company changes - no waiting for cumbersome back-office implementations. Creating and submitting expense reports during typical airport/flying downtime is smart. Seamless syncing avoids irritating upload/download errors. Love the mobile app! And the support.....is 5 star! When you call, there is a minimum number of extension to navigate. You talk to a real person. And that person has instant access to your company's platform and can see everything live. Even the fix was instantaneous. We didn't have to wait a 24-hour cycle to effect the correction. Linking personal credit cards has been a bit tricky. We understand the banks have their unique processes but maybe a future version will make the linking easier and more permanent. To be fair however, we have not taken advantage of the incredible support - maybe the answer is out there. Start now! There is no reason to be manhandling your company's expenses anymore. The Nexonia software is easy for everyone to use. You won't have to hire someone to administrate the software that's supposed to save you time and money! Start now! Nexonia has eliminated the tedious spreadsheet errors and lost receipts. Now the auditors have all the information in soft-copy. The time saved by EVERY user has reduced our Admin costs. The only benefit over Expensify is that they have a number to call when you need tech support! Implementation took over 6 weeks. After 6 weeks, we were told it was ready to go, then you have to go thru all kinds of training. After the training, when we tried to use the software, found out that the implementation was not complete! We were unable to pull in credit card transactions and they told us that we needed to use a different service to do that. They "plugged" in the different service and then instructed us that we needed to finish the implementation! After they wouldn't finish the implementation, I canceled the account and they wanted to charge me $585 for a service that we never used! Not one expense report was ever created, submitted or exported to QB! We had high expectations for them! Expensify is the way to go if you don't mind the long response time from tech support! Aside from all of the implementation problems, the product is very confusing to use and you will find yourself watching training videos over and over again to try and get it. Do not use Nexonia! Use Expensify! Nothing has been solved! There are zero benefits! "Nexonia is clunky and inconsistent"
Nothing so far. Right now each feature I have used is worse than the system I moved from. Trying to manage actions are not intuitive and the Help tab often returns just a blank screen. After having used Concur, there is no comparison. This does not make expense management easier. We are going to have to invest resources in more training and support just to make it functional for people. As a user, I have taken a big step backward with Nexonia. Concur was what we used previously and nothing has gotten better for me with this transition. "used for credit card accounting--works well"
I like the phone interphase through the app. The user interface is pretty straightforward and easy to pick up. It works well. There have been no issues so far. So far all works well. There is nothing yet that I have found that makes this application bad. I find it helpful and accommodating. Give it a try. It works well and is easy to implement. Creates an opportunity to handle, store and categorize all of your receipts and charges from a credit card. Credit card statements and accounting. I have never had to use the website. I have only used the app on my Iphone. It's very accurate with maps and easy to do expenses with attaching receipts. Use it to track mileage for meetings and reimbursed meals. There isn't anything I dislike about it. I have used Concur before, but only on the website. Maybe the Concur app is equal, but I think Nexonia is great. I do expense reports weekly. As a Sales user, I would consider implementing if a company is looking to automate expenses. The app works great, never has crashed and I use weekly. The maps are accurate. Aligning expenses with networking efforts, prospect meetings. I have saved a lot of time using Nexonia since the process is easy on a weekly basis. "Fast, User friendly expense Management"
Nexonia makes it easy to enter process my expenses in a timely, and organized manner. Great for employee reimbursements and complex workflows. If you're constantly tracking down employee receipts, let Nexonia do the work for you. You can even set a cut off for reimbursement requests. 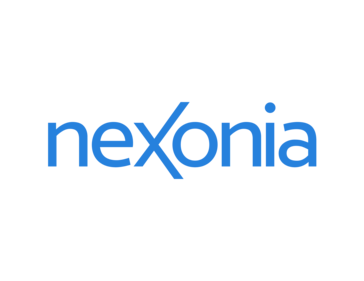 As an employee Nexonia makes expense reports and payouts a breeze. With a streamline approval system and interface for employees, approvers and admins. Nexonia makes it easy to have multiple expenses in various statuses as well as to streamline the receipts process. The app makes expenses on the run even more convenient. Easy to capture receipts on the go and process expense reports right from your phone. "Flexible integration and automation capabilities, "user-friendliness" needs improvement"
Helps bridge the gap between our accounting software (NetSuite) and our business expenses through the automation of tracking and booking our corporate card spend. Flexible integration helps us to better track what we want and how we want which is a necessity for a high-growth company that is always evolving. The web-based is too click-oriented. Using the online platform can feel quite 'clunky' at times. This solution is ALOT more customizable than, say, Expensify. However, Expensify (which we tested) is a lot easier to use and much simpler. If you want flexible integration over ease of use, then Nexonia is better. If you want simplicity, then Expensify is better. Since NetSuite lacks automated credit card import features like quickbooks, pre-nexonia processes were extremely manual, stressful and prone to human error. Nexonia is definately a giant step forward in filling this void and will continue to improve as my team gets more experience with the platform. "Very easy and seamless; Also love the iOS app"
Nexonia makes it very easy to upload receipts straight from my iPhone, which is great when I'm on the road. I can easily have an Uber receipt uploaded and associated to my project within a minute of getting out of the car. For an expense report with multiple receipts, it can be confusing to figure out which receipts are related to specific expense items because you just see a rolling list of all receipts. Being able to quickly and seamlessly submit and approve expenses should be the standard for all expense management solutions. Nexonia is really solid in helping make this the industry standard. "Rolled out Nexonia to over 100 users"
This system has allowed us to stream line the expense process for our organisation and bring a synergy with the accounting team and the process. There are a couple of points that we do wish we could alter. firstly we have users in different countries so they submit reimbursement expenses in a local currency, however the corporate card they use is in Canadian, so now we have to have two profiles for these users.... be great if we could have multi currency for the end transaction not just one. secondly once you have uploaded the receipts the window to view them is so SMALL..... so many complaints about not being able to see the receipt in the viewer. be better to have a separate window for the Receipt not just part of the item window. the ownership of the expense, in the past we have had users just submit receipts with no comment. or delay submitting of them. now it is becoming more timely. "Simple interface, intuitive to use and a great mobile app!" I love Nexonia's simplicity. As an employee, it's easier than ever to keep track of my expenses and submit them for review. I'm a huge fan of the mobile app for iOS. When I was on the train ride home from a work conference I managed to submit all of my expenses with ease, using my iPhone's camera to photograph my receipts. This app would be even easier to use on the go, so you can leave the bill behind with your empty plates and decide on your tip with it's handy tip calculator. It makes it easy to not only submit my expenses, but have them on record at all times when estimating what funds might be left for a certain expense category. Plus, the interface is completely intuitive and well designed. I truly have no complaints! There isn't anything I can say I dislike about this program. I might mention that calculating accurate sales tax when submitting expenses for items that were redeemed with discount codes/credits can be a little challenging to report. While I haven't truly had a means of comparing Nexonia to similar software, it doesn't require much thought to use and has made work expenses an incredibly simple process for myself. Submitting, tracking and managing expenses is easy and intuitive. I think you'll find you don't need much more than what it already has to offer. I can easily submit, view and manage my expense budgets for my workplace, on my desktop or on the go. No more need to hold on to paper receipts or worry about losing them. It has helped me feel confident that my company will be able to expense my appropriate spending and allows me the freedom to take advantage of its wonderful perk package. "Breeze through expenses with Nexonia!" Submitting expenses through Nexonia is straight forward and self explanatory. The dashboard is user friendly and it allows users to comfortably maneuver around without feeling like they are going to mess something up. If the company has several jobs and expense type categories then it's critical for the system trainer to provide in depth training and education so users know exactly which fields to select/use. Operations/Business - Nexonia is able to plug into Netsuite ERP. This is beneficial b/c once the expenses are entered and approved, then these expenses hit the job/project in Netsuite. There is no need to duplicate efforts by doing manual entries. Users: As I mentioned above, Nexonia's dashboard is easy and it tracks every expense report submitted. InVision is aiming to go paperless so expenses live in the cloud, there is no paper exchange. All supporting receipts/backup can be uploaded to the user's expense report. And, because Nexonia plugs into Netsuite then employee's get reimbursed via direct deposit. Approvers - Approvers receive an email notification when someone from their team submits an expense report so they are able to approve/reject immediately. "Easiest Program I've Ever Used!" The expense module is by far the easiest I have seen on the market today. Love that you can customize it to suit your company's needs. Give Nexnonia Expenses a try! It will alleviate headaches at month-end trying to close out everything and the ease of use for the employees is priceless! We have solved the issue of employees not being reimbursed in a timely manner and have cut back on mistakes when employees are entering their expense reports as this module is extremely user-friendly. This has saved our accounting department numerous man hours of sifting through the expense reports for errors and trying to get them corrected before being paid out. "Very helpful, but still needs a lot of tweaking in the credit card area." I love that Nexonia can match a receipt to a credit card transaction. That has been so helpful and a true time saver! The support team continues to go out of their way to make everything run smoothly and seemlessly; however, there are a lot of kinks still to be worked out in the Nexonia credit card process. We use Intacct for our accounting software, and unfortunately, there seems to be so many conflicts between Nexonia and Intacct. The transfer process is a constant struggle. Also, We use several different credit card companies, and have found it to be a major struggle to find a credit card feed that will bring the credit card transactions in without fail. Nexonia has had to move our cc feed two times for Citi Visa and now we are struggling to find a decent cc feed for Atlantic Capital Bank (formerly FSG Bank). For those that are considering using Nexonia as a bridge to match credit card transactions to receipts prior to transferring to another accounting software: Double check compatibilities of the softwares and also the credit card company transactions feed source. Those are the two largest struggles for our company. Other than that, enjoy! It's a great service and continues to improve. Business problems solved with Nexonia would be time saving. From the employee standpoint, it saves them time and steamlines turning in their credit card receipts. Nexonia's interface enables our client's employees to upload their expense reports and supporting receipts with ease. Eliminating the hassle and fuss over paper copy, the platform allows those submitting, reviewing and approving the luxury of managing their respective responsibilities at any time, any place. From a reviewers' perspective, it would be nice if the supporting receipts were listed in sequence. The process involved with submitting expense reports is often time-consuming. Let's face it: this a monthly recurring task. While employees and contractors are responsible for accounting for a company's expenses, keeping track of receipts per project is laborious and efficiency should always be towards the top of the list. That's where Nexonia comes into play. Reimbursement requests can be drafted over the course of time. "A good product for small business"
We use only Nexonia Expenses. The mobile app is intuitive, fast and simple to use. The approval system works fine. Low and slow support for the configuration of the system. Not all the custom features are multilingual. No access to a real testing environment. No support for french users. The Web experience is tedious for users, not intuitive and not adapted to small screens. Good for small and simple company. If you have custom needs, users from all around the world, the experience is less great. Many nice features are included, but need to be polished. It allowed us to centralize all expenses reports in one place. The approval system simplifies the management of those reports. "Super simple to use, great to help you stay organized with expenses." What I like best is how it streamlines the travel and expensing process. Previously, I would have to manually track on my own spreadsheet the expenses I had as well as book my own travel arrangements and worry about expensing the travel costs later as well. Then, I would have to worry about saving all my receipts- digital and print and I would be anxious about losing them (of course I'd always end up losing something). Now, I don't have to worry as much. I can have Nexonia make all the travel arrangements on the company's card and I can upload my receipts on the spot and track as well all in one spot. What I dislike is the learning curve. I thought initially we were supposed to login via the desktop version and the desktop version has no place, at least that I'm aware of, where I can upload my receipts and I was confused what to do. It wasn't until later that I realized that I have to download the app. Even the app itself was kind of confusing and I was at a loss of how to upload. It wasn't very intuitive at first and after some fiddling around, I did finally figure it out. Now that I have figured it out- took about a day to become comfortable with it, I now feel like a master at it and it's not too bad. I would suggest that we get a quick video to explain how to use it or a list of instructions so the learning curve is decreased. I would strongly recommend Nexonia. It's way better than tracking your own expenses manually as you're bound to miss some receipts or expenses. It also helps you avoid having to save all the paper receipts and worrying that you'll lose them. Nexonia helps you avoid headaches and makes expensing a totally streamlined process. Also, Nexonia saved us time from having to manually enter all our receipts and from having to worry about keepsaking hardcopies of all the receipts. Right after I bought a restaurant meal or ordered a taxi, I could just easily take a picture and upload it for tracking purposes. And get this- pretty neat- Nexonia helped me to total everything together. Imagine this benefit I received being applied to everyone across our department who was traveling. Easy uploading of receipts and then this in turn made finance have an easier time processing everything since everything was in the same format already (as opposed to before where we each had our own tracking method) ....this in turn meant faster turnaround time for us to get our expenses reimbursed. Win win win across the board. "Excellent features and functions for the right need"
Feature/function rich, especially for expense mgmt. Easy to use. Responsive support. Hard working team behind the scenes. If you plan to integrate with another platform like ERP/FInancial system, do a lot of performance testing. Make sure Nexonia can scale with your record volumes particularly if your business has to process thousands of work orders per year. Our nationwide mobile workforce (500+ users) went from submitting paper receipts and emailing expense reports to fully on-line. We lacked visibly, control, data accuracy - our finance expense processing team could not keep up! This is now all in the past. We now have near real-time visibility of expenses, more business (employee/Manager)ownership/accountability over their expenses, faster/timely re-reimbursement and controls. Nexonia significantly helped our business reduce cost/complexity, risk and increase our productivity. It is now a mission-critical platform that is providing our fast-moving services business with a competitive advantage. I like the ease of use and reliability of the mobile App. It allows me to quickly upload receipts while on the go. In the Nexonia app it should default to which currency to be used based on the phones GPS. Also the "add item" button on the bottom should be swapped with the one at the top. The Uber integration is not reliable. Exchange rate is not always up to date. Make sure the product fully meets your needs. Able to efficiently submit expense reports! No more saving tons of receipts and copy/scan/faxing them. The best features about Nexonia is that it is easy to use. You can access your expenses from any laptop or mobile devices. I can put expenses in at anytime and approve and run reports if necessary. When I go in the system to purge old employees, you can only remove one at a time, then you have to refresh the page and move on to the next. It is definitely worth the change. We switched to Nexonia from another expense system. From the beginning it started saving money and was easier for users. Cloud solution, easily customizable, very good mobile App, very good support and follow up from start of project up to final implementation date. Transition from implementation team to support team wasn't fully transparent, but that's a minor. Had to explain again a few of our specifications to support team. This would also be very good if there was a French support team. Offering cloud solution to everyone in our company, Approval process, ease of use. Our old expense program wasn't 64 bits compatible and was sitting on an old Windows Server. Now with Nexonia we're free to upgrade and we don't have to worry about this old server. I really like the fact that Nexonia is user friendly. I have used other services in the past where it took a tremendous amount of time to navigate the system. Nexonia is straight forward, intuitive, and efficient. I have not complaints about Nexonia expense system. Tracking expenses with multiple sales reps can sometimes be challenging. Nexonia easy to use platform helps the sales reps enter the expense information in an accurate and timely manner. This enables the management team to review with accuracy and detail prior to approval. "Great Service - Fast, Convenient and Easy to Use"
Ease of use and simplicity are great with this application. You can quickly figure out how to do what you need to do. They also support multiple platforms, including Windows Phone, which many companies ignore these days. I recently had a development concern, which I submitted to their Support Team. They understood what I needed and submitted it to their development team. I was communicated with very effectively all the way through the process. My only concern about this was the time required to effect a fairly small change in the UI. The issue was identified and the request submitted in late March 2016, and the solution was delivered live in early June. This is a great company and an excellent product. They have a solid understanding of the business need and an effective delivery capability. Expense entry and processing for a distributed workforce. We have moved all expense reporting and documentation processing to online (from spreadsheets), improved processing speed and review accuracy, enhanced audit and reporting capabilities and streamlined the whole workflow. I love the fact that this software has a phone friendly app. If I forget to add my information, I can easily add it on my phone. I love that it remembers frequent locations and if you enter a location once for mileage expenses, it will remember it for you. I love it generates monetary amounts for reimbursement with mileage. I can easily upload receipts from company outings. I dislike the fact that you have to justify each expense with a code. It can be rather redundant. App is definitely not first time user friendly. You must watch a tutorial once or twice for ease of use. We are able to easily use bexonia expenses to track and log company expenses. The app is incredibly easy to use, and I appreciate that when I'm using it for mileage, locations I've been are easy to reuse. The desktop version is not nearly as user friendly as the app. Nexonia allows me to track my reimbursable expenses on the go without all the headache of pen and paper tracking. phone app, mileage map, fairly user friendly platform. The implementation was very difficult, although honestly I think that had more to do with the personnel assigned to our account than the software itself. Have the implementation specialist assigned more knowledgeable on set up. Had several issues such as 1. Specifically asked if the QuickBooks version we had was compatible and was told yes, only after several hours on the phone with Nexonia and trying to implement the software were we told weeks later that in fact the version we had was not compatible. Would have saved us a lot of time had this been told up front. 2. Was given a Visa template for card uploads when we only use MasterCards. Wasted a lot of time having issues with the upload, when I called Support this was remedied but our original implementer gave us the original incorrect Visa template. easy accessibility for receipts and consolidation of reports. The ability to see all previous expense submissions, along with the ability to see if my manager has approved it yet vs. if accounting has funded it yet. The interface is very powerful, but can be a little confusing the first time you use it. I've never heard my colleagues complain about using it... everyone seems to find it very easy to use. It's made it very easy for me to be able to submit and track my reimbursement requests at work. Nexonia has streamlined our expenses processes so much, I hardly believe it. It has allowed our program staff to take ownership of how their expenses are recorded and forced standardization of policies. The only thing that we have struggled with is that supervisors often get confused when they go in to approve a request and it isn't there, because they are in the Payables section rather than Expenses, or vice versa. It has allowed our program staff to take ownership of how their expenses are recorded and forced standardization of policies. As strong a program as Nexonia is, I think what I like best is actually their team. They always make a point to show you how happy they are to be able to help. Additionally, they are upgrading the system non-stop, so it's never too long before a desired feature or function is added to the system. Finally, they really listen to you, and are very understanding of anything that happens during the implementations. If I had to really pick something I didn't like, I'd just say there are some gaps in functionality. Luckily that's only temporary as Nexonia updates their system a very impressive speed. Other than that, I can't think of anything else I dislike. It's absolutely worth your time to at least check the product out. Also, this is VERY important, keep a mind on the staff; they are TOP NOTCH. As we have more and more staff submitting both Expenses and Timesheets, with expenses being both Out-of-Pocket and on company cards, it was becoming cumbersome for us to use the original paper process. Nexonia literally revolutionized our entire process, from initial entry all the way through to posting to our General Ledger. It's almost TOO easy to use now! "Easy and fast expense reporting from my mobile phone"
Being able to take a picture of receipts means I no longer have to save my paper receipts -- I just take a picture as soon as I get the receipt and add the expense to my report, long before I've even had a chance to lose the receipt! The mobile app doesn't give full visibility of the review process but does show that the approvals are in progress and updates when the approvals are completed. For a user, Nexonia Express makes it easy to create and file expense reports from mobile and desktop. Easy expense reporting, quicker and more accurate. Very straightforward, easy to use and follow. The instructions are very straightforward and submitting process is easy. As a user I don't find any difficulty in understanding how to use the software. The uploading receipts/attachment feature is very slow and the preview of the review seems blurry, often times when I want to ensure I have uploaded the correct receipt, it takes a while to load the preview and once loaded it is very blurry and hard to read. Amazing product for employees with no difficulty in explaining how it works. How to manage expenses , how to lower travel costs for projects since it breaks out all the expenses and total amount spent on a project. Building larger reports can be a bit time consuming. But, definitely worth it in the end. "Seamless Integration with NetSuite, exceptional support!" I love that the support team that was so involved during the setup process has continued to go above and beyond with quick response time and efficiency. The team is also open to any suggestions and ideas to improve functionality and features and even better - they actually have already made some suggested improvements in the short time we have been a client. There is nothing I dislike about the service, I still have some feature tweaks I would like introduced but I am confident that the Nexonia team is continuously working on improvements and customer requests. We had issues with Concur integrating with NetSuite and Concur support, billing, etc. was beyond frustrating. Working with Nexonia's sales, implementation and support team has been perfect from the start and they have continued the same level as service which was promised to us before we were a client. "Not the best for smaller companies that need customization"
Like the fact that you can require a receipt to be attached an expense item. I have noticed the # of lost receipts go down significantly. Dislike how long charges take to hit Nexonia (right now this is 5-10 days later). Have not had the best experience with the customer service. We have heard the answer "no" or "Nexonia can't do that" to many of our questions, but when our associates have enough time to look at the issues, we have come up with a solution ourselves. The reporting piece could be better (more customization). Many users have duplicate charges show up frequently. The credit card was not physically charged multiple times, just showing up multiple times in Nexonia. This was another issue that we were basically told could not be fixed. If you are looking into an expense reporting system and need custom fields, please have a demo done with some examples before you purchase to make sure you get what you need from this product. We are slowly solving the responsibility for expenses issue. Nexonia makes you responsible for your own charges on your card. If you would like to be reimbursed, you must fill out an expense for it. This has begun our process of holding people accountable for their own expenses. "Intuitive, easy to use, affordable"
The endless range of customization. You can change approval processes, user roles, expense categories, etc. endlessly! The error message guide on the website says "this might be the problem", but it doesn't provide a solution. How do I solve the problem?! Official approvals of expenses. Before it was not a standardized process, it required a lot of communication between employees and managers and directors. We now have it standardized across the company by expense category by customer by dollar amount. And you can do it on your phone! "The easiest way to keep track of expenses & reimbursement!" Nexonia is so easy to use! The categories are simple, the app allows for enough flexibility whether you are working in mobile or desktop and it just works. I appreciate being able to add receipts in multiple formats whether you're looking at a JPEG, PDF, etc. In addition, the seamless management between web & mobile means that there is no confusion for trips/itineraries. I cannot think of any real downfalls to this application at the current time. It would be cool if there was a way to track location with a receipt so that it would be easy to attribute time & dates to specific expenses. Maybe this is just something I'm not aware of. Ease of submitting, tracking and ensuring reimbursement through any type of expense. No longer do I need to work through a cumbersome system or specific format- Nexonia is the easiest to use! "Help how to use Reporting tool in Nexonia"
It's very user friendly, and easy to use. For finance user and for a traveler as well. We are taking care about expenses, which come from employees. They have to get back their money from the company in time. It's a big benefit, that we can approve expenses in one report and also send back items from the same report in on time. Then maybe just one item will be rejected from 20 lines. The app is very convienient. Easy to add receipts and change transactions. The user interface can be confusing at times and it takes some time to get used to. It gets easier the more you use it. Have a rep from the company help with learning the interface. We did and it was helpful. Much easier than what we were doing before, which was much more analog. Between the website and the app Nexonia is helping save a lot of time. Very simple UI, easy-to-use system, in which users are able to submit multiple expense items, view policies, receive approvals, etc. There isn't much of the system I don't appreciate. I don't provide approvals so can't speak on that level, but incredibly simple tool for uploading my corporate expenses needing reimbursement. Perhaps some additional notifications would be nice so I can better know when expenses have been vetted, but may simply be a setting I need to adjust to allow for 3rd party (email) notifications. If you incur expenses at your position, having a tool like Nexonia is a fundamental need in order to ensure timely reimbursements. Corporate travel happens all too often and being able to submit incurred expenses effectively and easily is paramount for ensuring timely reimbursement for approved expenses. The ease of use - on the go use the app or from the desktop - less excuses on lost receipts and real time ability to code. Feedback from users is already very positive ! Still new to it so haven't found anything as of yet. Wish you could do payables from the app on the smart phones. Highly recommend it as you can use both the expense module and accounts payable module creating a very streamlined work flow process. Implementation was fairly easy and the training was great. It feeds right into our accounting program Intacct. Most of ours users are on board and finding it a great solution! Just rolled out this month! getting reports done on time and then thru an approval process - this just makes the trail simple and digital, reducing hours spent tracking down employees, approvals and receipts. It's a better system than the company had before. Its great that I can do my expenses from my mobile phone. I like that I can take pictures of my receipts. No receipts bucket, meaning when I e-mail a receipt I do not want to have to put an expense report number. I just want it to store the receipt. Transactions should also not have to be tied to expense report. E-mailing multiple page pdf document should stay as 1 receipt. When e-mail a bill it page is separate. I wish I could use credit card transaction receipts for amounts less than $75 instead of printed receipts. IRS accepts these why not your system? I used Expensify for 3 years it workflow was much easier. But I guess our company backed system was did not work well with it. Mobile expense reporting. Makes making expense report more efficient. "Product wasn't our first choice"
The approval layering is great and sophisticated. It's not the most user friendly product out there. It is easy to enter someone incorrectly. Personally, I was never able to link my credit card to it so I have to upload my transactions manually. Check out all the features before you switch. Reimbursement management. It has helped us stay on top of our reimbursements. "Can't say enough about Nexonia! Ease of use, great training, functionality, integration..."
Onboarding was a breeze, training was excellent, integration with Bill.com is awesome, and support was responsive! I use Nexonia for my Board of Directors spread all over the country. Training them was a piece of cake with the video tailored for my organization. And, ya know, it just works!!! I can honestly say I can't think of anything I dislike. The Nexonia Team is awesome to work with. They helped me set it up, test it, train me, and then followed up to make sure it was working. I needed to process expense reports three times per year for my board of directors. I just point them to the Nexonia website and the training video. I can approve their expense report, push it over to Bill.com and pay it within 5 minutes!!! "It is a disservice to your organization to not go with Nexonia"
Customer Service is amazing. Product is coded very well and the integration are flawless and provide a lot of options for Intacct. It is a perfect product in my eyes. "5 characters remaining." They customize Nexonia constantly and listen to their customers and have a very solid management and foundation upon which they have established themselves. They are willing to help solve business problems and create additions to their software which enables customers to continually evolve the product to suite their needs. We are a global organization with offices in China, India, United States, Lebanon, and Germany and our entire global team is using Nexonia time and expenses. It is accurate and clear and concise. Professional services project accounting industry with billable expenses, this product delivers on all accounts. * We monitor all Nexonia Expenses reviews to prevent fraudulent reviews and keep review quality high. We do not post reviews by company employees or direct competitors. Validated reviews require the user to submit a screenshot of the product containing their user ID, in order to verify a user is an actual user of the product. Hi there! Are you looking to implement a solution like Nexonia Expenses?